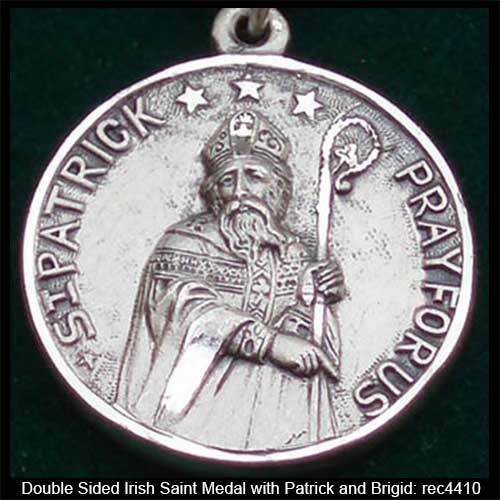 St. Patrick Pray For Us, along with St. Bridget Pray For Us, is embossed on this Irish saint medal. 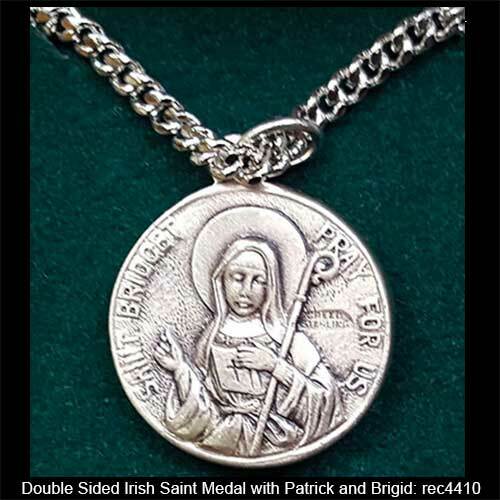 This sterling silver Irish saint medal features detailed embossed depictions of St. Patrick on one side and St. Bridget (Brigid of Kildare) on the reverse. The heavy weight and dimensional pendant is enhanced with shamrocks and measures 7/8" diameter. 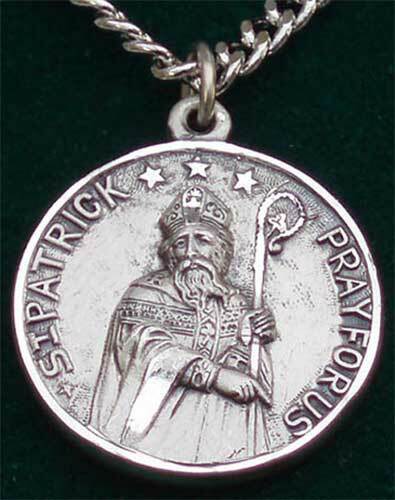 This patron saints of Ireland medal includes a heavy 20" long rhodium plated chain and it is made in the United States. The Irish saint necklace is gift boxed with a shamrock history card, complements of The Irish Gift House.